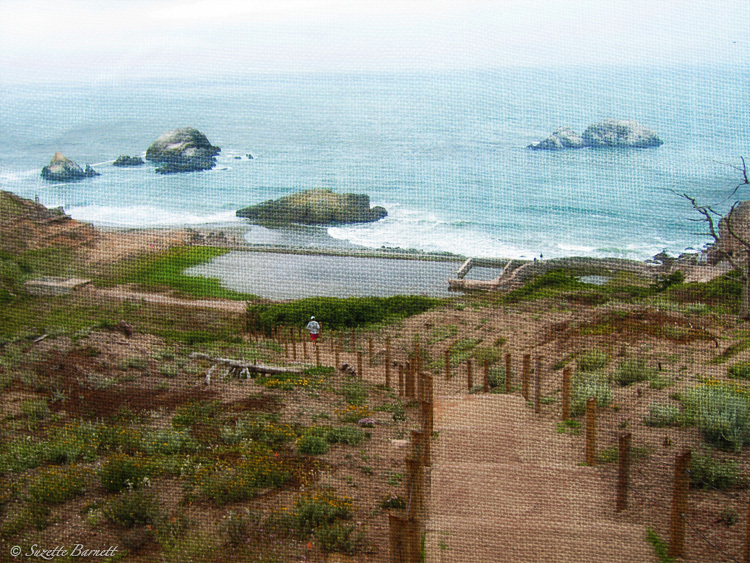 On my west coast road trip I came across Sutro Baths, definitely something I wasn’t expecting. Looking over the ruins was fascinating to me, and a bit eerie at the same time. 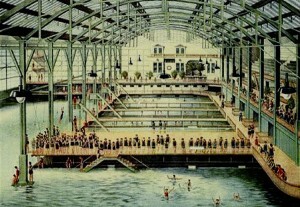 The baths opened in 1896 as the world’s largest indoor swimming pool establishment. 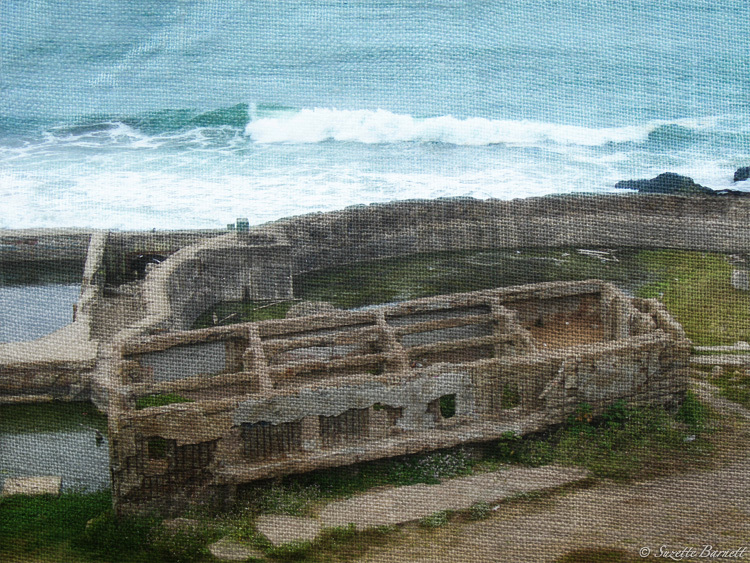 Through an elaborate system of pools, tunnels and pumps, swimming pools were filled by ocean tides! Two acres of glass arched over steam-heated pools, restaurants, a theater and a museum with rare plants, animals and artifacts. 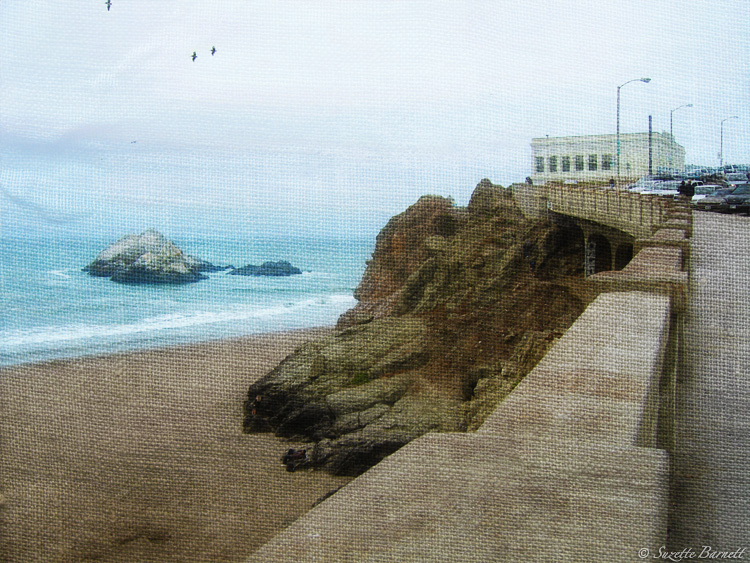 The Sutro Baths were the last major recreation project of millionaire Adolpho Sutro, the once-mayor of San Francisco. But in 1937 the Baths were losing money and the main tank was converted to an ice-skating rink. In 1966 a fire leveled the structures and left us with the abandoned ruins we see today. The area is located just two miles from Golden Gate Park or 20 minutes from downtown San Francisco. These days, locals and visitors enjoy it for the trails and fresh ocean air. Always amazes me what you stumble across on a road trip. 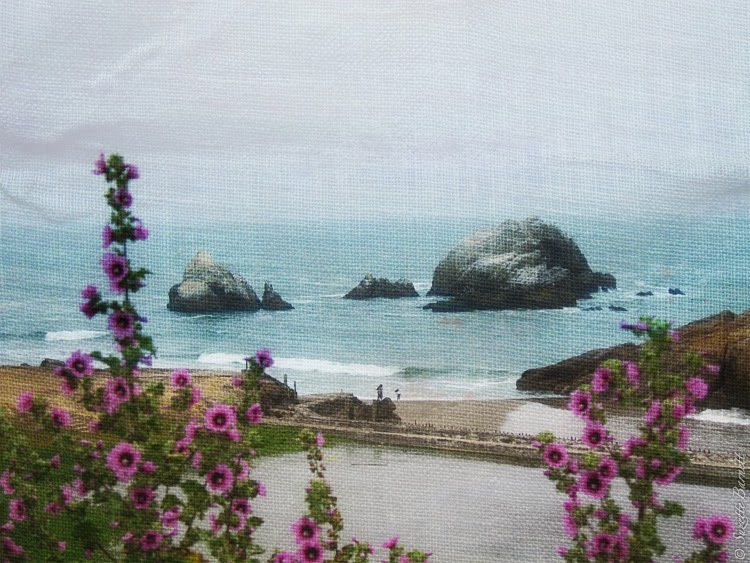 I later found out that my dad, who was stationed in San Francisco in the late 1940’s, actually remembered Sutro Baths from back then — fascinating! 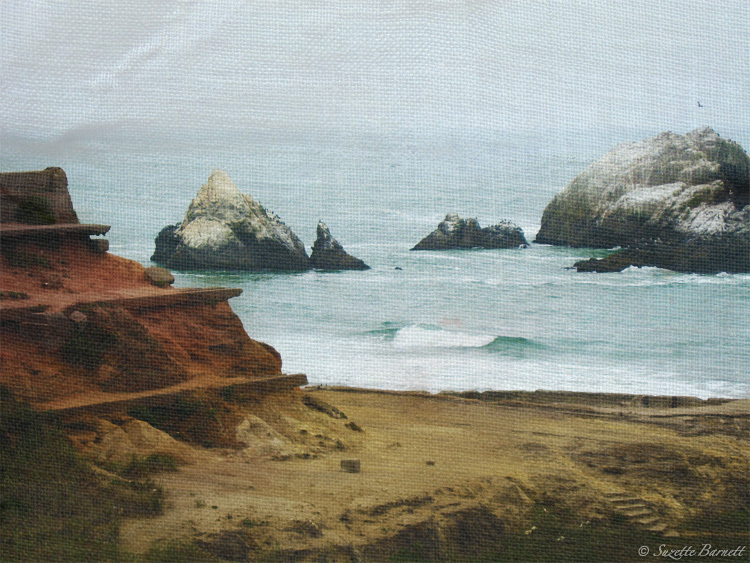 I found some vintage postcards of the baths and what was once called Sutro Heights. Aren’t they great? Inside Sutro Baths circa 1896, the year it opened. 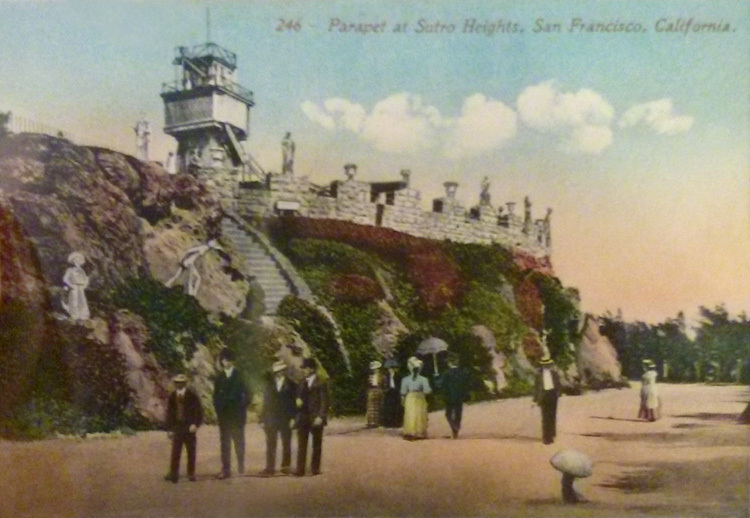 1910 Postcard: Parapet at Sutro Heights, San Francisco. 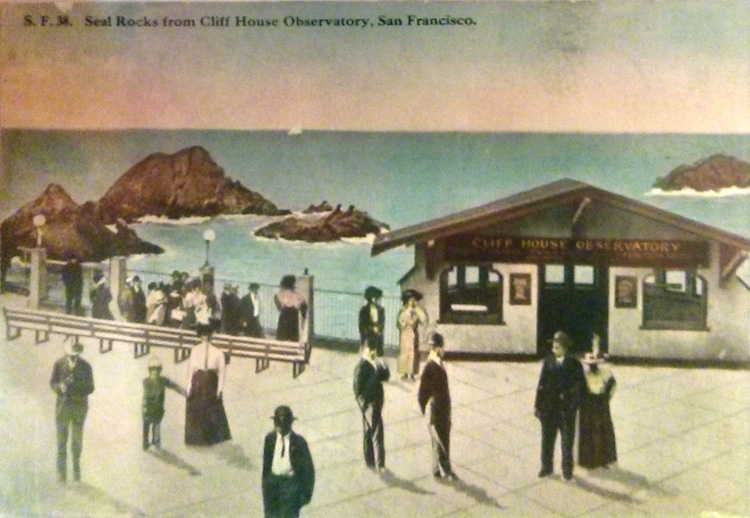 1910 Postcard: Seal Rocks from Cliff House Observatory. 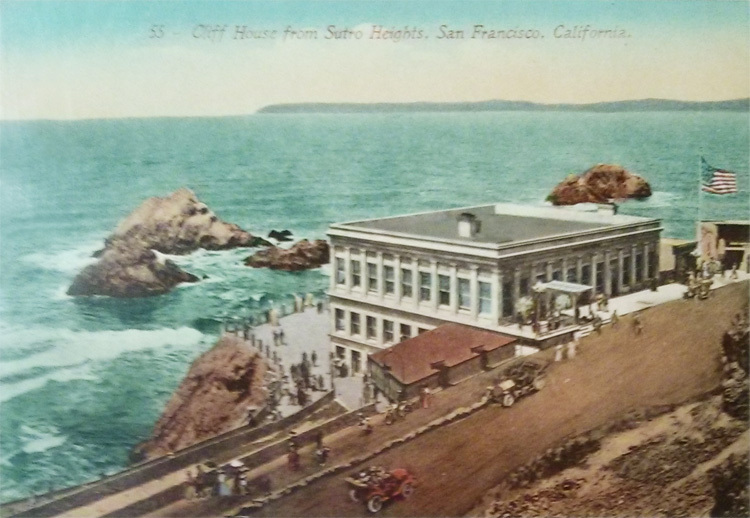 1910 Postcard: Cliff House from Sutro Heights, San Francisco.